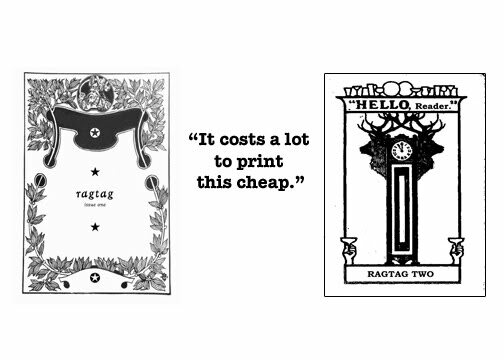 ragtag is a small edition literary arts magazine hand-assembled in the dark of night for the reading pleasure of whomever. each magazine will feature work by only three people. this and other constraints serve unspoken purposes.